As the year is nearing its end and the new one just around the corner, I start to reflect on the things I've done and accomplished for this blog. 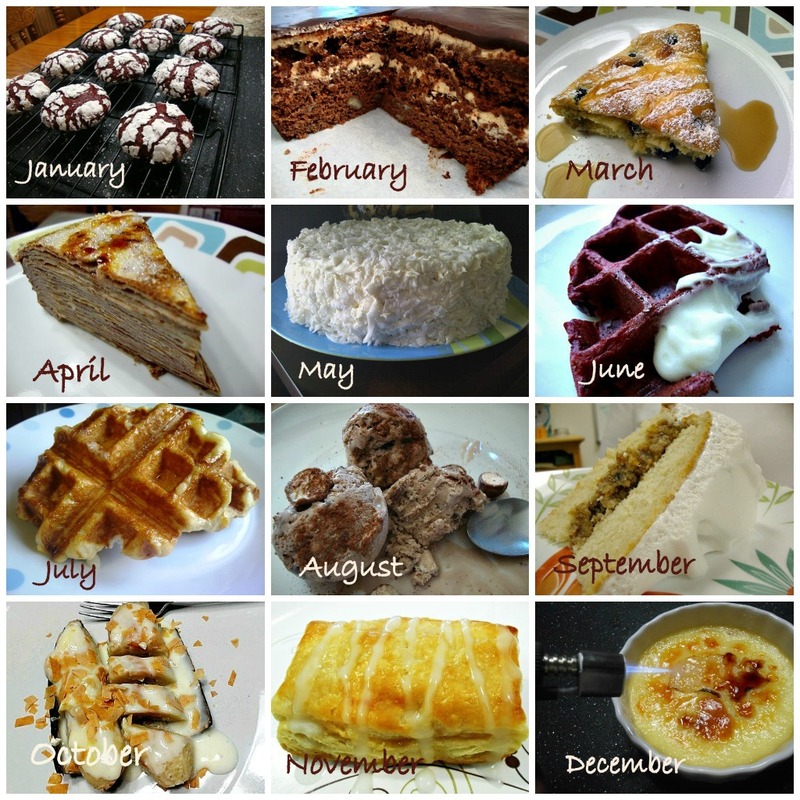 Someone suggested that I make a collage of what I consider my best recipes for 2012 and I came up with this. Each one has its significance in terms of level of difficulty; how well it was received (finished product); popularity; simplicity and the inspiration which prodded me to make each one of them. How fitting that it occupies the number one spot which is the first month of the year and just for the record- my most popular post for 2012. I love the plain ones but filling the center with pinches of cream cheese makes the cookies even better. I do not dislike peanut butter but for me to appreciate it- it has to be mixed with something fruity like jam or preserves; spread on fruits like banana or apple and it turns into a snack; and my recent discovery at that time- mixed with cream cheese to make an awesome sandwich spread. I’ve been making banana cake with chocolate ganache frosting which is always well received and I thought of putting them all together- the result is banana cake with peanut butter mousse filling and chocolate ganache frosting which is a major hit when I made it for a co-worker’s birthday. Separate the components and each could stand on its own. Put them together and the outcome is nothing short of utter deliciousness. 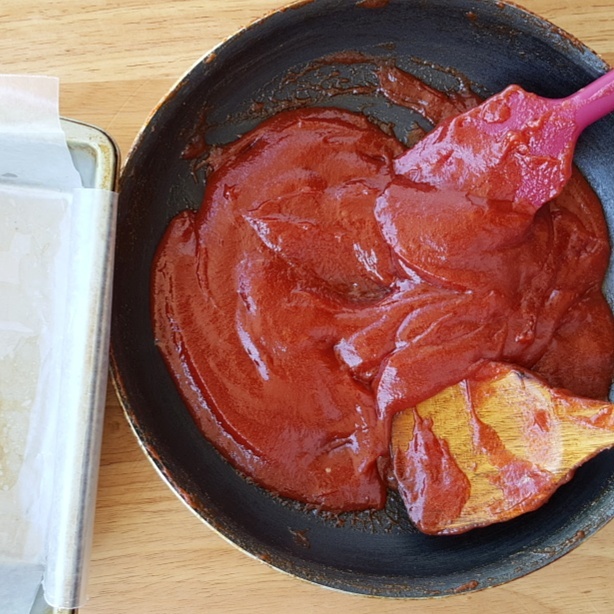 I was for a while enamored with baked pancakes and wanted to try different flavors as what is predictable about me if you’ve been following my blog. If not- let me just say I want to try to make something I’m fixated on in more ways and flavors than one until something else catches my interest. I’m not saying I’ve fallen out of love because this will always be a favorite breakfast item and one that I strongly recommend for pancake lovers. You may want to check my other flavors Sweet Apple and Raspberry. Ambitious is how I describe this project. You may think that crepes are easy to make but this one requires patience. It is a real labor of love starting from the crepe batter that is guaranteed to yield perfect pieces to assemble and fill with the delicious hazelnut cream to create a tall, unique and proud cake that screams come and get me! Ah, this is the product of my big mouth boasting about how I can make one that could rival even Ina Garten's because I use fresh young coconut in mine and that it's not cloyingly sweet. I ended up making this cake more often than I dream of and imagine as it was so well received I got so many requests from friends to make it for birthdays and at times just because they like it. I just felt that this deserves equal recognition as my old Red Velvet Waffles post because I finally have a real Belgian waffle maker. It's all about sharing a good recipe for other people to try and enjoy especially for those who cannot taste or sample my creations. This is the fulfillment of a dream. When I tasted Liège Waffles for the first time, I fell in love and wanted to eat it all the time if I could chase the food truck every day which is ridiculous. I told myself I'll make my own someday. Thanks to R for the waffle maker and Lola for the Belgian Pearl Sugar. I don't make it everyday but the dream of making my own came to reality. I had a real nice relationship with my ice cream maker last summer. It was gelato this and that for the most part and to be able to combine two childhood favorites (Ovaltine and Whoppers) and make it into gelato is such a feat and what makes it great is how my friends and my family loved it. This is a three-part post starting here and ending when I frosted the cake. It was a journey down memory lane as I try to recall a favorite classic and a real trip making the cake. I learned new techniques and I just loved how Ms. C was all smiles and happy when I finally presented the shiny cake to her. This is one recipe that I plan to improve with the perfect choice of bananas to achieve the creamy texture I want. I would love to share this with my friends who love my original fried variation with cream cheese but kind of cringe at the thought of how it was cooked. Fried is yummy but not too healthy and this is my healthier version of turon. I had Pastelitos de Guayaba in mind at first because it was pure joy being able to make it plus the fact that it was a such a hit and drew a lot of raves. This turnover followed right away and was appreciated just as much. I love both pastries equally although this made me do a repeat right away because my best friend felt shortchanged having tasted only one and begged me for more. Inspired by a popular Chinese dessert, I made this originally for K and realized I love it too. I love ginger and the roasted pear makes it even better. They actually make an awesome combination.